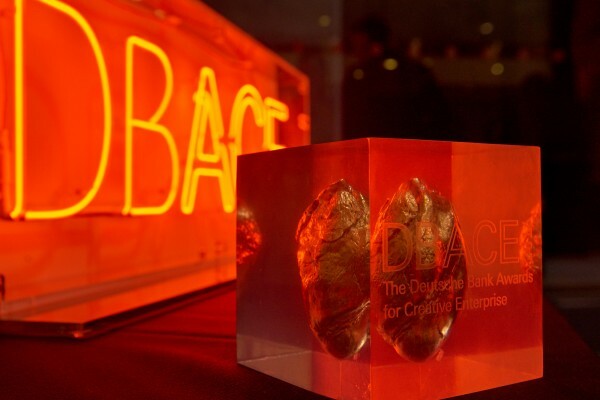 Every year, the Deutsche Bank Award for the Creative Enterprise (a.k.a. 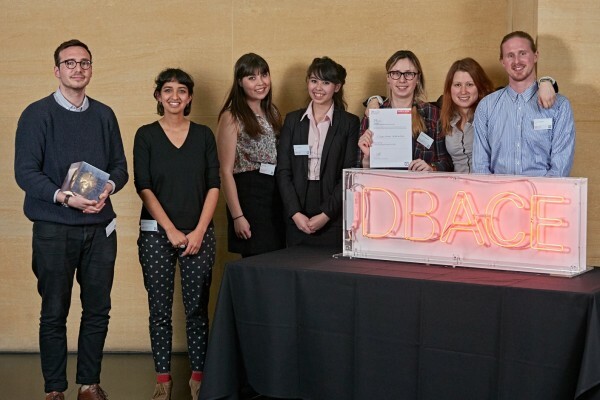 DBACE… pronounced ‘Dee Bee Ace’ 😉 ) helps arts graduates from UK universities to turn their ideas into reality with the support of start-up capital and business mentoring. The scheme began in 1993 and has been evolving and expanding since. As any aspiring or established entrepreneur knows the search for support plays a huge part in taking your ideas from conception to reality. Back in February when Shakehaus was looking for our first round of funding, we discovered DBACE and began work on our application. Energised by the potential rewards and recognition, we spent many hours together refining our idea and business plan for submission. 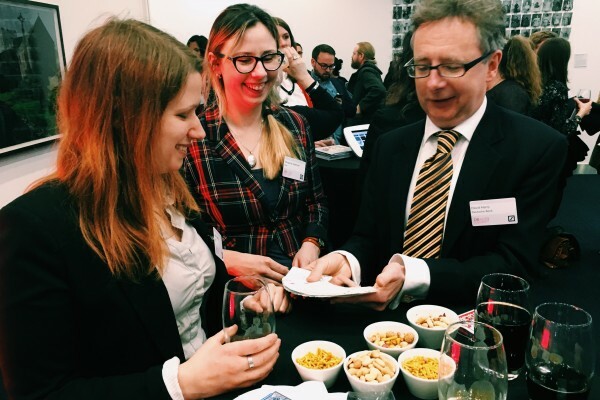 Two months later, we received an email congratulating us on being shortlisted in the ‘Film’ category and were invited to travel to Deutsche Bank’s UK headquarters in central London to pitch. More hours were spent designing the content and structuring our pitch before finally practicing with our friends at Business Gateway and Bright Red Triangle. Alison Poltock – Director of the East End Film Festival, one of the UK’s biggest and best film festivals, showcasing new talent and homegrown films alongside larger releases. Christine Molloy – Writer, director, editor and one half of Desperate Optimists. Her work has been screened at over 50 international film festivals, including the Edinburgh Internation Film Festival, and earned distribution deals in the UK and Ireland with New Wave Films and Artificial Eye. Chris Paul Daniels – Artist, filmmaker, lecturer and former winner of DBACE. Elizabeth J. Sandler – Chief Operating Officer of Risk at Deustche Bank. Max Comfort – Specialist Business Advisor at Deutsche Bank. 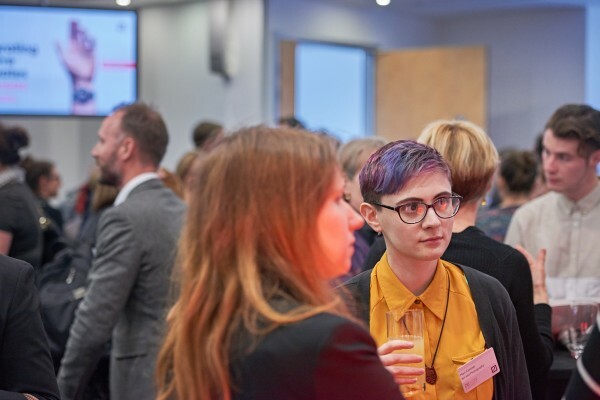 Being shortlisted for DBACE was a great honour for us, and we were delighted to receive further recognition, winning the Runner Up prize in our category. A highly credible and competent trio. A fantastic, engaging presentation from an articulate, knowledgeable and skilled team. Along with the award, encouragement from such experienced and respected people, not only on the DBACE jury, but who had followed our application from the initial judging stage, and believed in our skills, talent and passion for bringing something new to our field was an excellent boost for us. The prize money has been used to begin production on a micro-short comedy film, combining live action and animation, which will be used to showcase some of the range of services we offer at Shakehaus. Our mentor for the next year will be Michelle Berti, who is Vice President of Wealth Management Strategic and Governance Initiatives at Deutsche Bank, and we could not be more excited to start developing our relationship with her. We would also like to take this opportunity to congratulate all of the participants, especially Safiya Noor Dhanani and Thomas Payton-Greene, the winners in the Film category with their documentary Samaanata. We are very grateful to everyone who supported us throughout the process for making DBACE 2016 a wonderful experience for the Shakehaus team. Magic! Not what you would expect from a banker! No more fun, let's be serious for a second. Next PostWe are open for business!